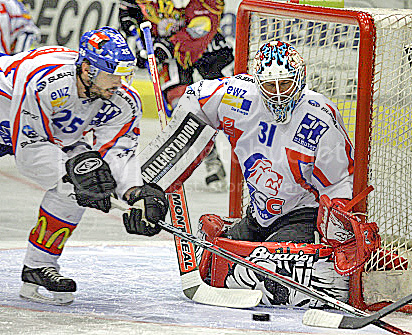 Ari Sulander is the starting goaltender for the Zurick SC Lions of the Swiss Nationalliga A. 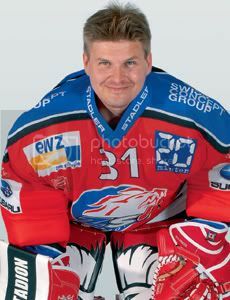 He has also played for the Finnish National Team in the Olympics in 1998. 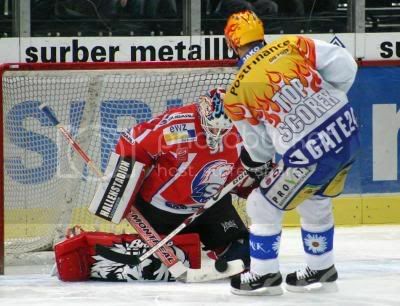 But look at his leg pads he wears for the Swiss team. How cool is that? Maybe he is trying to scare opposing players. 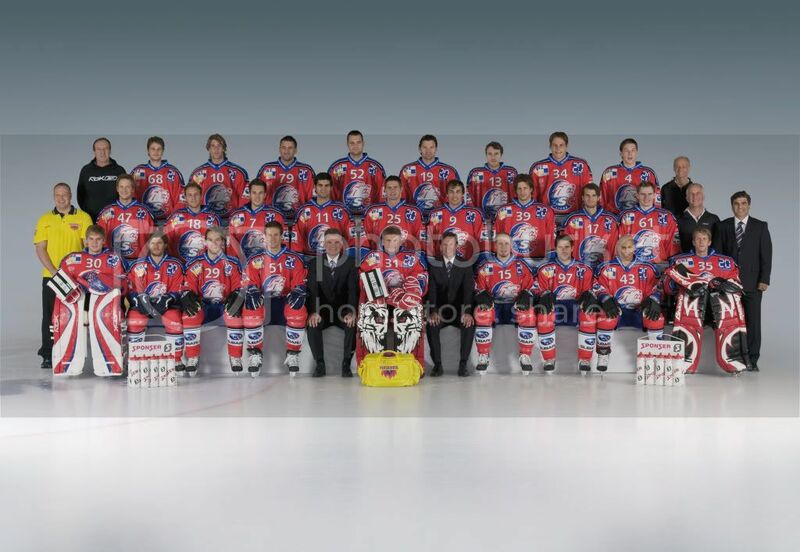 Here is the team shot where you can see what it looks like when he has his legs together. I wish someone in the NHL would so something cool like this.